Pretending to be sinless is the main vice and illusion of our time. 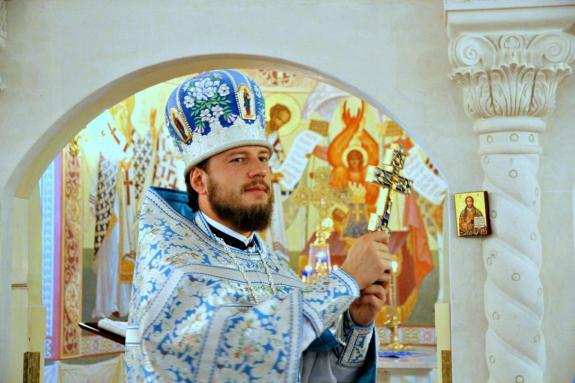 So says Archimandrite Viktor (Kotsaba), Head of the Kiev Metropolia Administrative Structure of the Ukrainian Orthodox Church. There is a rather interesting science fiction movie starring Bruce Willis – “Surrogates”. It tells a story about our near future, in which a person exists in a completely virtual world. Sitting at home and eating away bags of potato chips, he is connected to a special computer that creates a reality for him. In that illusory world, the user is strong, smart, handsome, and perfect. Meanwhile, he is fat, unwashed, silly, and unhappy in the real and absolutely banal world. Naturally, it is better and more pleasant to live in an illusion than it is in reality. Indeed, “on the mainland” they say one has to put an effort in order to be strong as well as to be smart. Even beauty is rarely given to us from birth. But most importantly, this world, the world of people and not of computers, requires efforts of the highest level. These efforts are aimed at nurturing humanity, without which we cannot be people. We have to work on our soul and spirit, on our will and character. However, the whole problem is that it is easier for us to create a fictional and fake world, as in “Surrogates”. In this world we already have everything connected to spirituality, and there is nothing else we can do, “I haven’t killed anyone, haven’t stolen anything. What makes me worse than others?” Pretending to be sinless is the main vice and illusion of our time. Yes, here we meet Him. We meet Him not merely in the depth of our heart and soul, but literally in the depth of our entire being. God comes toward us and He does this during every divine service: “Take, eat, this is My Body, which is broken for you for the remission of sins…” He enters our heart only when we join Him in Communion. Not otherwise.